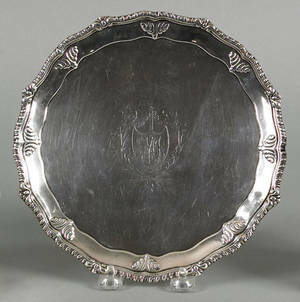 Realized price for Philadelphia silver salver, 19th c.
Philadelphia silver salver, 19th c.
Philadelphia silver salver, 19th c. , bearing the touch of Peter Krider, inscribed "Presented by Dr. Scharlach John Van Bergen & Joseph Keller Judges of the San Francisco Schutzen Verein August 18th 1862", 8 1/4" h., 12 1/4" dia., approx. 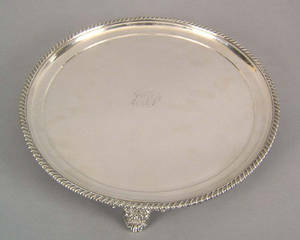 16.3 troy oz. 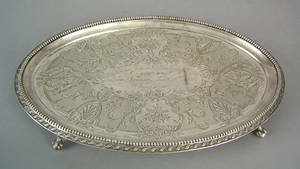 The Schutzen Verein was one of several ethnic based citizens groups established after the gold rush which acted as social club and public safety committee. 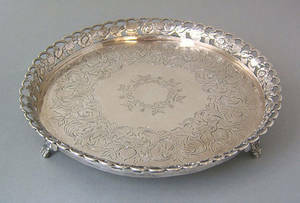 It was instrumental in protecting the city after the assassination of President Lincoln. 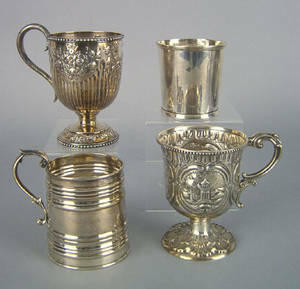 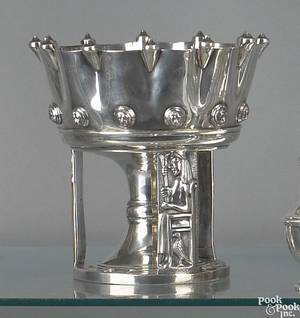 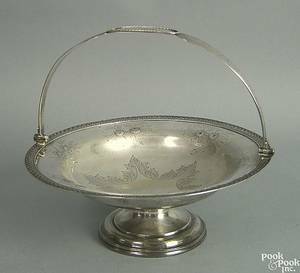 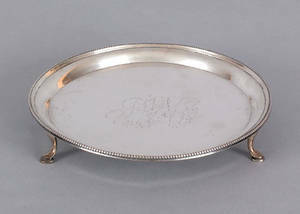 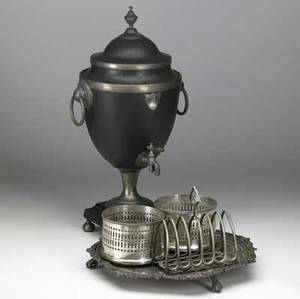 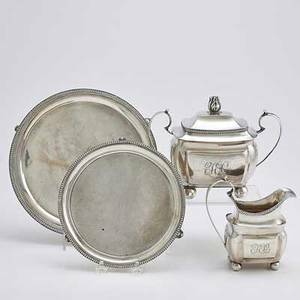 Archived auctions similar to Philadelphia silver salver, 19th c.
Philadelphia silver basket, 19th c.
Four Philadelphia coin silver mugs, 19th c.
Continental silver salver, 18th c.
Philadelphia coin silver compote, 19th c.
Silverplate grouping five pieces including hot water urn, pair of champagne coasters, toast rack and footed salver, 19th c. tallest: 20 3/4"
Three silver mugs, 19th c.